IS MY TOOTHACHE A BIG DEAL? In your life, you have probably experienced a toothache. Whether it was a dull ache or throbbing pain, toothaches are extremely common. As a matter of fact, toothaches are the second most common problem faced by all ages in the United States. Tooth pain can be dull, sharp, throbbing, constant, or intermittent. You may only have a problem when you chew or maybe the pain is so bad you can't focus on anything else. Trying to figure out what may be causing your toothache can be frustrating and worrisome since a toothache may be a sign of something small, like a cavity, or something bigger, like an abscessed tooth. If your toothache persists for more than two days or you are in pain, DentalWorks - High Point recommends scheduling a dental exam as soon as possible, so our skilled team of professionals in High Point, NC can determine the cause and develop a treatment plan. These are some of the most common causes of a toothache, symptoms to watch for, and tips for preventing future toothaches. A tooth abscess, commonly caused by an untreated cavity, can cause a severe toothache. 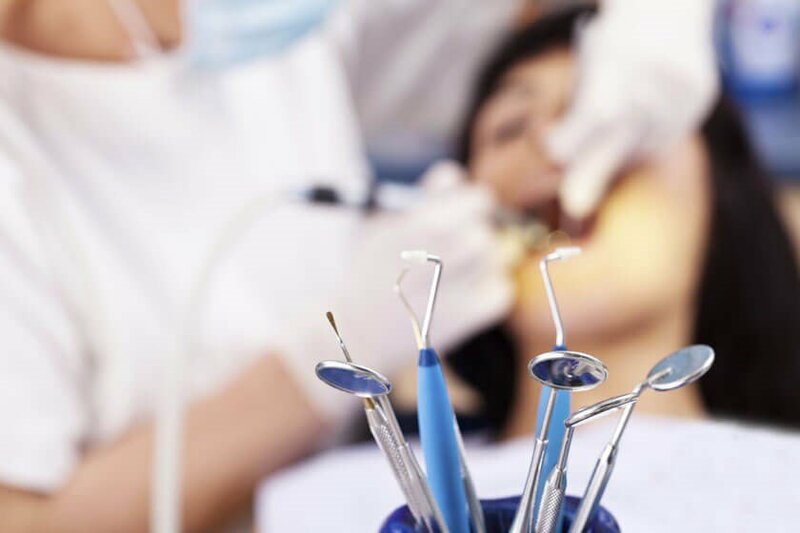 Your dentist may need to perform an extraction or a root canal to treat an abscessed tooth. Another lesser known cause of a toothache is a sinus infection. Your upper molars sit close to your sinus cavities, so pressure from the infection can spread to your teeth. If symptoms of a cold, like sinus pressure, accompany your toothache, you may need to be treated by your primary care provider for a sinus infection. A common cause of severe tooth pain is a cracked tooth. This can be caused from a trauma or something as simple as chewing on a hard candy or ice. In this situation, emergency dental care is often necessary to reduce your pain and repair the affected tooth. A toothache isn't always an immediate cause for concern. For example, perfectly healthy teeth can become uncomfortable, sensitive, and achy for a short period of time following a tooth whitening treatment. This particular sensitivity is caused by the irritation of your dental nerves during the treatment. However, if your tooth sensitivity causes intense pain or doesn't go away after 3 – 5 days, you should tell your dentist. A minor toothache by itself is a symptom that doesn't necessarily need immediate attention. If a toothache and facial swelling are present following a dental procedure, they are likely the result of the treatment and should fade in the coming days. However, if you have a toothache along with other symptoms, you may have a serious problem. You should visit your dentist right away if your toothache is severe, unmanageable, or is accompanied by a fever. These are signs that an infection is present, which needs to be treated before it spreads. Trouble eating, speaking, and opening your mouth are also signs of a serious condition that should be reported to your dentist right away. Lastly, a toothache plus a facial rash could indicate sepsis, which requires immediate medical attention. For mild toothaches, a number of home remedies may help alleviate the pain while you wait for an appointment with your dentist in High Point, NC. A simple saltwater rinse, over the counter pain relievers (acetaminophen), or a cold compress could help to significantly reduce your toothache. Hydrogen peroxide diluted with water can also be swished around in your mouth to remove bacteria, relieve pain, and reduce inflammation. Most toothaches will require treatment by your dentist. While your toothache may not always require urgent treatment, it is better to be safe than sorry when it comes to your oral health. Professional treatments may include a filling, root canal therapy, or an extraction depending on your diagnosis. If the infection is accompanied by a fever, chills, or jaw swelling, then you may be prescribed antibiotics in conjunction with your dental treatment. The best prevention for a toothache is good oral hygiene. Tooth decay can be prevented with a good home care routine that includes brushing and flossing twice a day, plus mouthwash. If you regularly experience excessive plaque buildup or tooth decay, then ask your dental professional about dental sealants. This noninvasive dental treatment can help protect your teeth from plaque and tartar buildup. Most importantly, everyone in High Point, NC should schedule annual dental examinations and bi-annual cleanings. Regular visits to your dentist’s office can help make sure that plaque buildup and cavities are taken care of before they have the opportunity to wear down the enamel and cause a toothache. Your dentist can also identify areas of concern before they turn into a toothache and suggest proactive treatments. Eating a healthy, nutritional diet can also help prevent a toothache and decay. Foods that are high in calcium help keep your tooth enamel strong, making it more difficult for bacteria to penetrate it. Apples and carrots, which are high in fiber, are also very good for the teeth. These foods stimulate the production of saliva, which helps to rinse away food particles and bacteria. Celery is a great natural toothbrush, scraping away particles of food and bacteria with each bite (although we still recommend using a regular toothbrush daily). When you have a toothache, contact your dentist to find out if you need emergency care. By taking care of a toothache early, you could avoid more pain and longer, invasive dental procedures. If you're ignoring a toothache because of anxiety about going to the dentist, DentalWorks - High Point offers sedation dentistry to keep you relaxed during routine exams and longer treatments.